Course Duration: Doctorate of Pharmacy [Pharm.D] is 6 Years. After completing the Pharm.D course, graduates can take up a Ph.D. programme. Work abroad scope is very promising in the Pharm.D course. Working together with physicians, pharmacists increases responsibility for medication therapy management. Pharm.D course graduates can work as a community practitioner who can prescribe medications for chronic diseases such as hypertension, diabetes, cardiovascular disorders etc. D Pharm course candidates are also eligible to work as drug experts, drug interaction specialists, and nutritionists. Pharm.D course graduates have become an affordable and reasonable alternative to medical graduates for many small-scale organizations. There are a high number of jobs available for Pharm.D course graduates in medical coding, medical billing, and the health insurance industry. Business Process Outsourcing (BPO), Knowledge Process Outsourcing (KPO) and state level government medical companies such as Tamilnadu Medical Services Corporation (TNMSC), Kerala Medical Services Corporation (KMSCL) and West Bengal Medical Services Corporation (WBMSC) etc., hire Pharm.D course graduates for various positions. 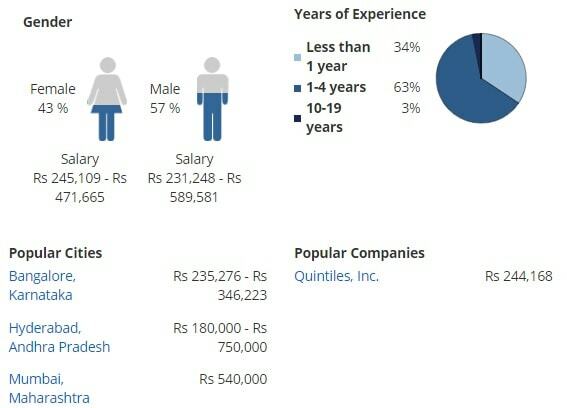 Aspirants are employed in some of the leading global organizations such as Novartis, Cognizant, Biocon, Pfizer, Accenture, GlaxoSmithKline, GE healthcare, TCS, Dr. Reddy’s, iGate Patni, Ranbaxy, Quintiles, Thomson Reuters, Global Hospitals, TTK healthcare, etc. 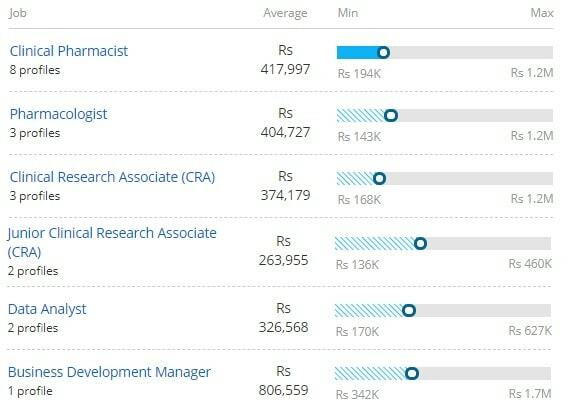 The average salary of an employee with a Doctorate of Pharmacy [Pharm.D] degree is Rs 6,80,000 per annum.